Most people have dark circles under their eyes in conjunction with real allergy symptoms. Allergic shiners can sometimes be relieved with a cold compress. Allergic shiners may be experienced by people with allergic asthma. Allergic shiners are commonly caused by severe seasonal allergies. 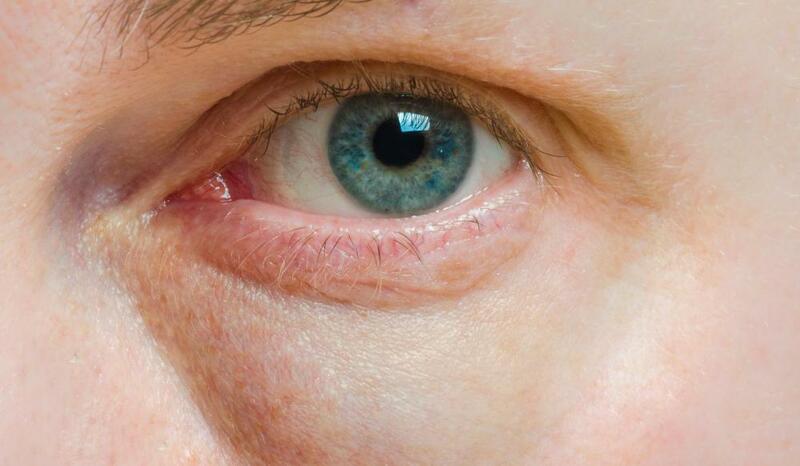 Allergic shiners resemble black eyes, but are caused by allergies instead of broken blood vessels from injury. 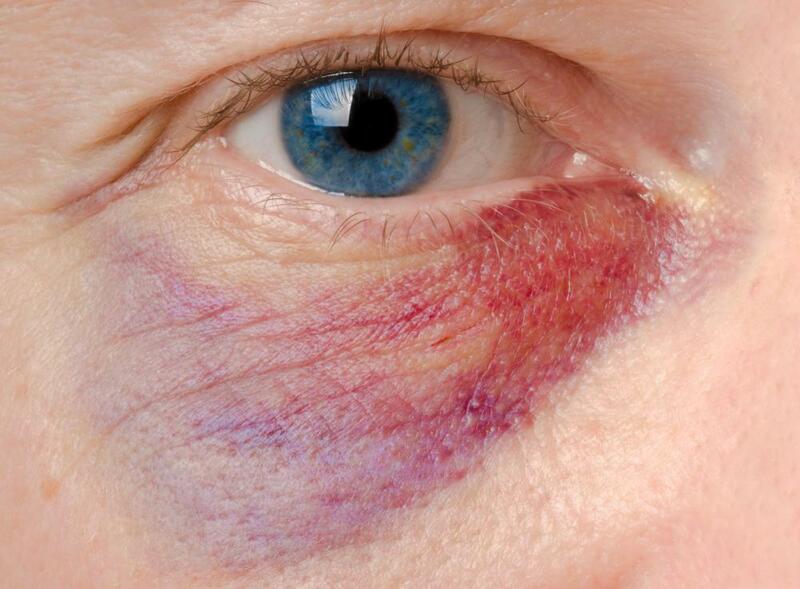 "Shiner" in the term allergic shiners means a black eye or dark circles under the eyes. People who suffer from nasal allergies may experience darkness and/or swelling underneath one or both eyes on a fairly constant basis. These allergic reactions can be unsightly, but they do not usually indicate a serious problem. Instead, they’re simply the result of congestion in the sinuses that slightly affects blood flow. When the sinuses became congested, it becomes more difficult for blood to continue on its path back to the heart, and the small veins right under the skin below the eyes may enlarge with pooled blood. Because these little veins are so close to the skin's surface, their swelling typically shows up as darkness (often purplish) right under the eyes. It should be noted these aren’t really bruises like a true shiner is. Bruises mean that veins or capillaries were broken and leaked. Allergic shiners don’t represent leaking of blood into the tissue, simply pooling of it. Most people have dark circles in conjunction with real allergy symptoms, especially allergic rhinitis. Some have them without this, and they may in fact indicate other conditions. If they’ve appeared suddenly and there’s not a clear cause like allergies, the sufferer should consult with a medical professional. Usually, if a person truly has allergic shiners, there is not a good treatment for them, except those that address the underlying allergy symptoms. 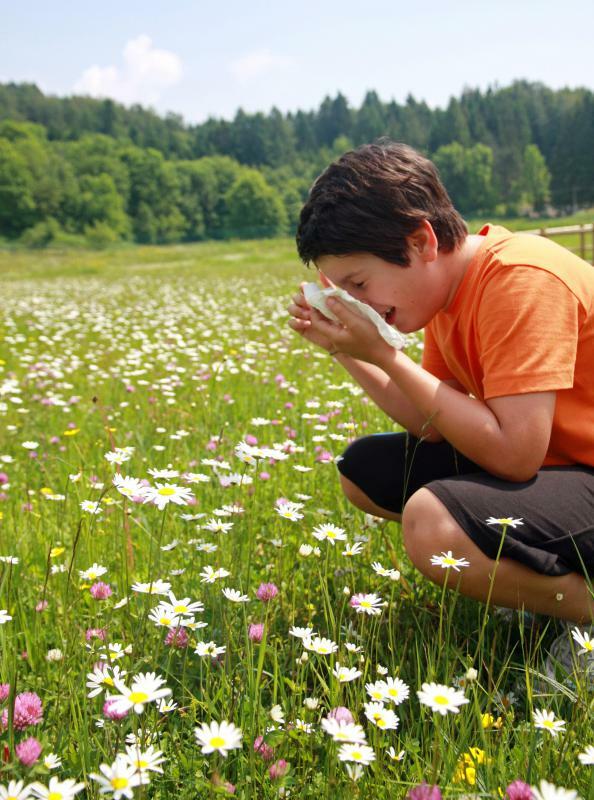 A few things may be recommended for allergic rhinitis that treats shiners too. For instance, people should know their triggers, such as animal hair, pollen, or dust, and avoid these when possible. Taking antihistamines or nasal corticosteroid inhaled medication can help too. Nasal rinses may also provide some relief for congested noses and swollen or bruised looking eyes. 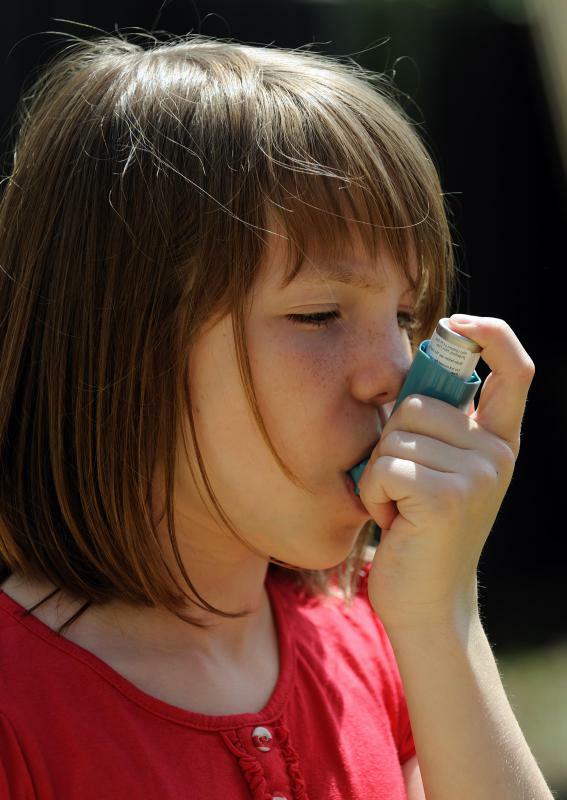 There is some evidence that allergy provoked shiners, especially in kids with allergic asthma, may be a good indication of potentially increased risk for asthma attack. This view is not endorsed by all medical experts or all literature. Some people do say that asthmatic folks who suddenly develop allergic shiners should make sure to keep their fast acting asthma inhalers on hand, however, although this is good advice for anyone with asthma. More commonly, though, the presence of allergic shiners indicates allergies, and not much more. Usually, their appearance is reduced by treating the allergies causing them. 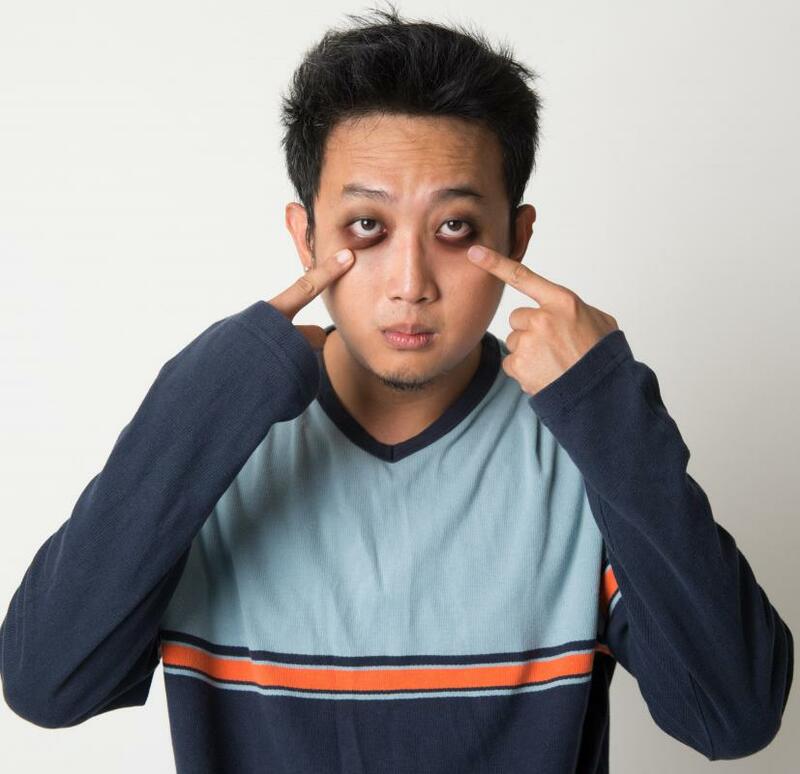 Though this won’t cure the problem, if the area under the eyes seems swollen or itchy, using cold compresses on the eyes may be a way to provide some quick relief. What are the Most Common Causes of Itchy Eyes? What are the Different Types of Allergic Response? What can I do About Allergic Itching? What's the Difference Between an Allergy and a Sensitivity? If dark circles are caused by capillary fragility, foods rich in antioxidants, such as blackberries, blueberries, parsley, onions, vegetables and pomegranate can be very useful. --Peter W.
If dark circles are caused by capillary fragility, foods rich in antioxidants, such as blackberries, blueberries, parsley, onions, vegetables and pomegranate can be very useful. --Pedro G.
Without obvious triggers, allergic shiners can be caused just by mouth breathing instead of full time nose breathing. Once the mouth breathing has stopped, the shiners should disappear in a few months. My five year old daughter got a black eye and then developed allergic shiners, I think. She has a lactose allergy and a penicillin allergy. What should I do? my daughter gets the shiners but when she was tested for allergies and she had none. what else can cause it? she also suffers from migraines. I have a friend who is allergic to cats and other animals with a lot of dander, and she gets these whenever she spends too much time around these animals. For her, at least, being away from the for a few hours usually clears the symptoms, or maybe overnight at most. Sometimes I get allergic shiners, and I also get allergic conjunctivitis at times too. While these symptoms of allergy are more visible than things like a sore throat, it's true they can also be treated pretty easily and usually go away in a day or two, at least for me.